Oslo, Norway! The name instantly conjures up images of Vikings, fjords and trolls. 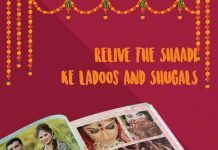 Serene, magical and beautiful, the country offers all this and much more. 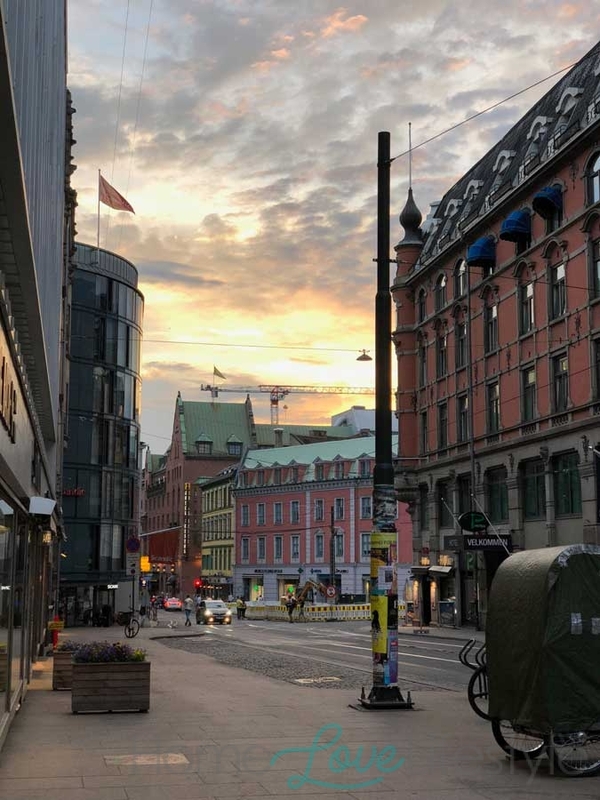 This was my first trip to Scandanavia, and Oslo, Norway’s capital city, was every bit as spare yet beautiful as I had imagined. A small city, Oslo still houses enough history and art to charm visitors. In fact, for me, its size is part of its allure since nothing is more than half-an-hour away and often just at walking distance. One of the things I found most fascinating about Norway, is the excessively long days of summer and the equally long nights in winter. Visiting in the month of June, we found the sky well lit as late as ten-thirty in the night! Our hotel was set in a pretty cobbled walking street which lead straight up to the Grand Palace. 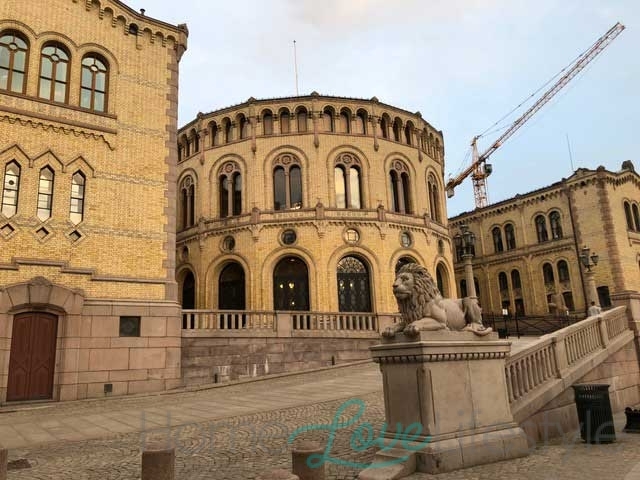 The House of Parliament or Stortinget and an ancient church flanked the other end of the street. 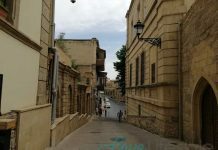 How refreshing was it to see these landmark buildings sitting in a tourist area without any visible security surrounding them! The gardens of the Royal Palace are open to the public and it was very calming to walk around the grounds and observe the ducks and other birds which congregate here. At noon one can catch the changing of the guards which we missed but we did see the guards and band marching through the streets at a cafe we were seated at later. 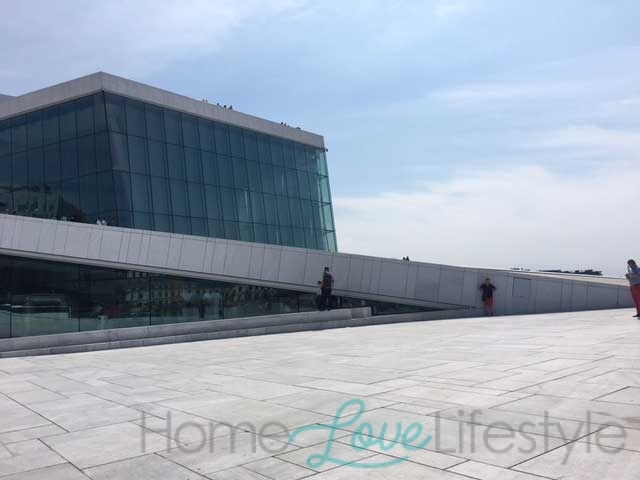 Also at walking distance was the Oslo Opera House, built on a grand modern design. It occupies a huge area on the harbour front and a massive sloping walkway leads right to the top of the opera house from where one can see the city spread out below. 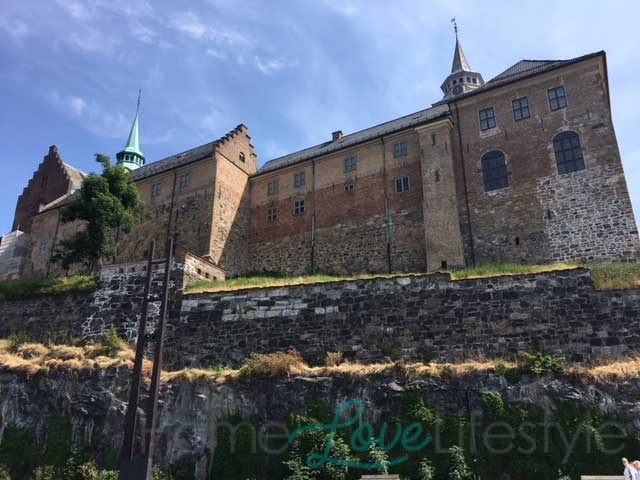 Continuing along the waterfront one can climb up and walk through the grounds of the Akershus Fort, a medieval fortress that has survived all the sieges to the city. 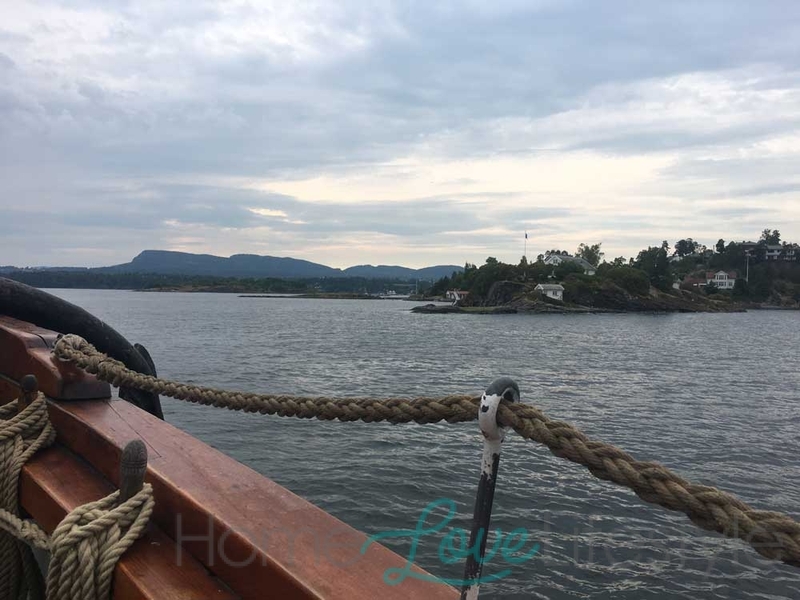 The scenic harbor area is dotted with fountains and statues and docked at the harbor one can see lovely old wooden sailboats which offer fjord cruises. 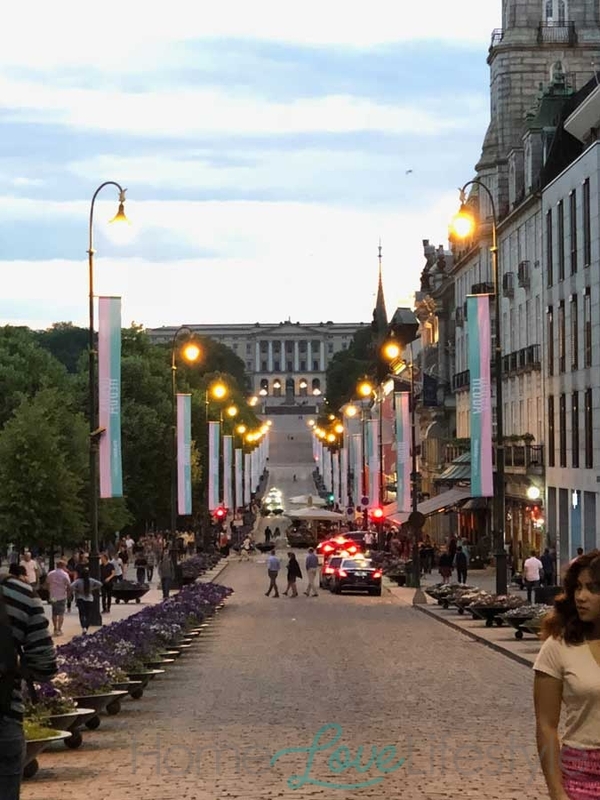 We chose an evening cruise since, the weather was unusually hot for Oslo and coming from Karachi, we were eager to escape the scorching sun. We filed on to the wooden sailboat (powered by motors though) and found ourselves a comfortable spot to settle in for the cruise. The evening cruises also offer drinks and a simple but delicious prawn buffet. The prawns were succulent and plentiful and made for an excellent dinner. The fjords are small rocky outcrops or tiny forest-covered islands which fill the bay. 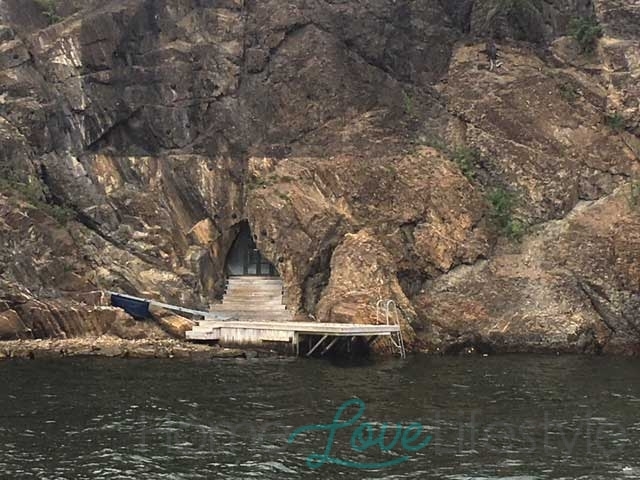 Many Norwegians have a house or a cabin on these fjords and we could see the locals basking on the rocks eager to make the most of the spectacularly long summer days. The crisp North Sea breeze, salty spray and curious seagulls added to the charm of this little expedition. As it grew colder, passengers helped themselves to the light but warm blankets stacked below deck. In fact, blankets are often found draped over restaurant chairs as well, conforming to the Nordic concept of “koselig” or keeping things welcoming and cosy, an understandable priority in this land of extreme winters. 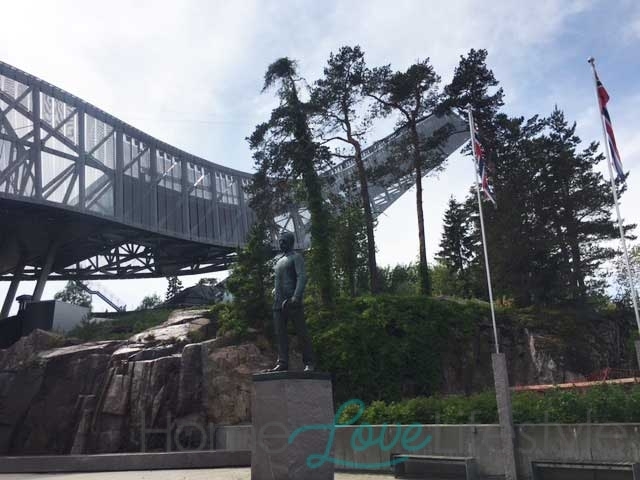 Moving out of the city centre, we took a subway up to Holmenkollen which boasts a frighteningly high ski jump and where winter games are held. When there is no snow, locals still come there to dry ski on the winding tarmac ski routes. 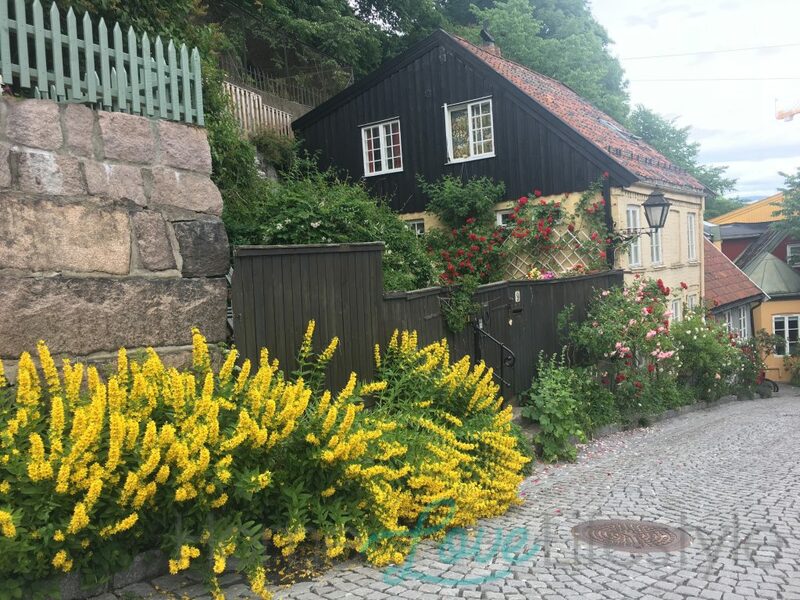 You don’t have to go far out of the city to sample natural beauty in Oslo. 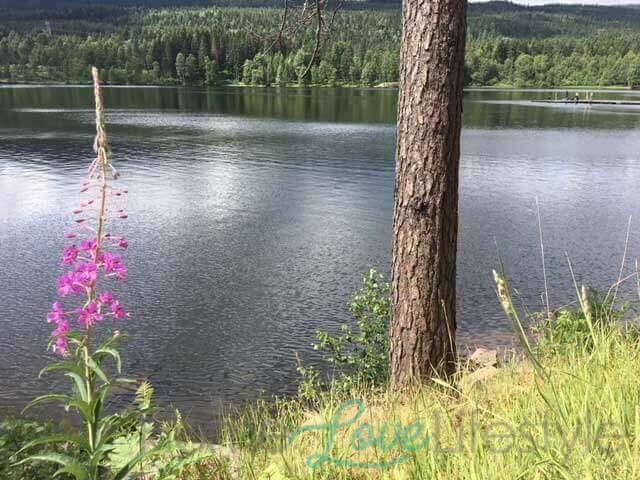 Sognvassn Lake is easily accessible by subway and absolutely stunning in its pristine glory. Ringed by the Norwegian forests, the lake sits like a beautiful jewel amidst the surrounding foliage. There is an easy 5 kilometre trek around the lake which is popular with everyone from teenagers to the elderly. 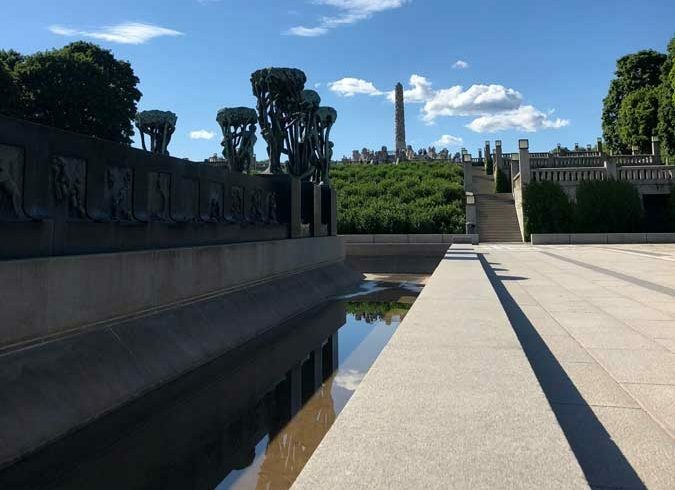 Norwegians seem to have a special fondness for statues and the most stunning example of this is the Vigeland Sculpture park. Artist Gustav Vigeland was commissioned the project of his life to fill this park with the works of his imagination. The park is dotted with human figures and is dominated by a huge, totem-like pillar composed entirely of human bodies. It is a fantastic and intriguing space which draws in visitors who are free to touch the sculptures, unlike those in a museum. Also worth visitng is the old quarter of Oslo. 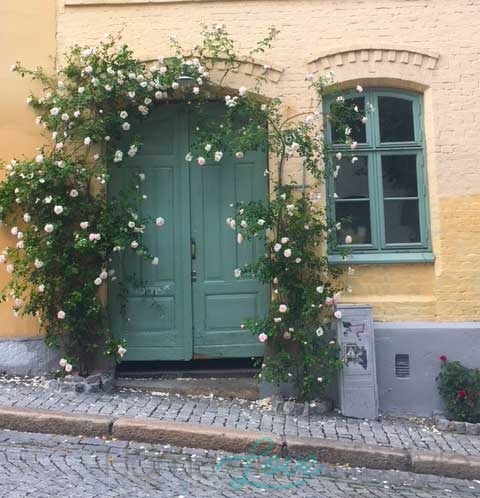 This actually comprises only a few streets but the winding cobble-stoned streets, quaint wooden houses covered with riotous blooms and picturesque doorways made us feel like we had walked into a storybook. 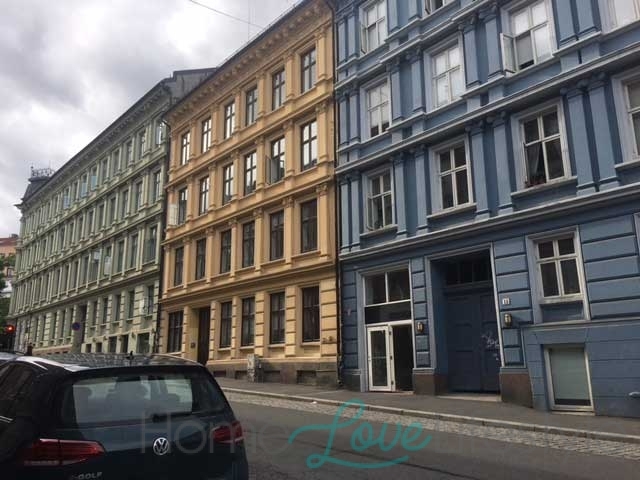 The best way to get the feel of any city is on foot and Oslo offers a lovely city walk along a river which cuts through the city. 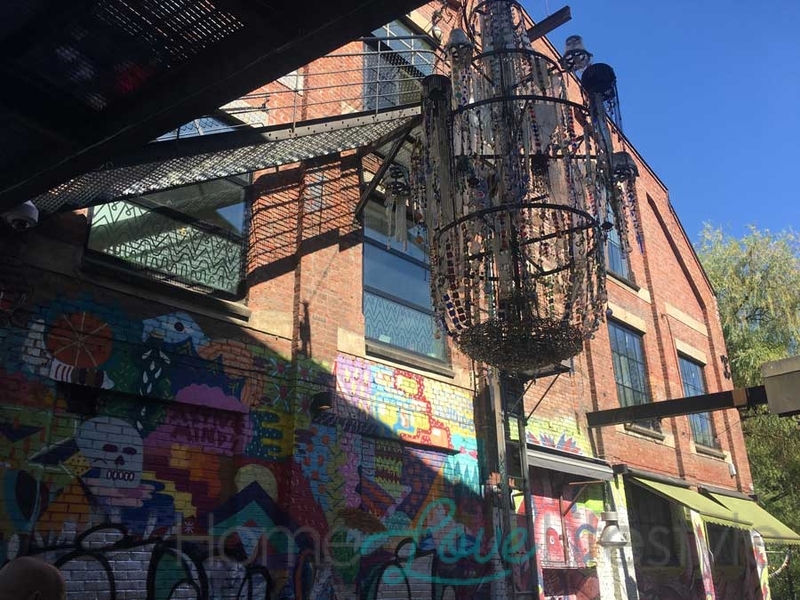 We decided to stroll along this route, randomly finding pretty spots along the river and bohemian neighbourhoods with colourful graffiti and trendy cafes. The Oslo National Art Gallery, meanwhile, boasts an impressive Impressionist collection. It is also home to the iconic Scream painted by Norway’s most famous artist, Edward Munch. This was a must-see for me. To be Norwegian is to love seafood. We gorged on smoked salmon, surely one of the most delectable of foods, but passed up the brown Norwegian cheese which is sweetish and not particularly cheesy. The different breads we sampled were all superb. The Scandinavian ethos impressed me. They appreciate beauty but are not materialistic. 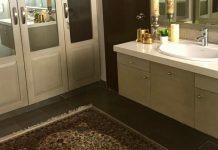 They embrace the simple, wholesome things in life, respect their environment and try to maintain their connection with nature. The rest of the world could learn something from them.